Samsung still has a lot to do to maintain its leadership on smartphones, with fierce competition, especially from Chinese manufacturers. Emblematic model, the Galaxy S10 aims to level up, with very good promises in several areas. The Korean brand has been particularly careful to optimize the use of the surface of this smartphone, with smaller edges than ever before and a very flattering look when you take it in hand with glass as the only material. On the other hand, despite an elongated 19:9 aspect ratio, it is more than difficult to use the Galaxy S10 with only one hand, because it remains imposing despite shapes that help with handling. Extremely well finished, it still offers a mini-Jack plug, which is a pleasant surprise, as is the IP68 standard waterproofing, NFC and a micro-SD card port. On the other hand, the fingerprint reader under the screen is sometimes surprising in its behaviour, which ranges from fast and efficient to just average. The 6.1-inch diagonal screen is no exception to Samsung's excellent habits, and it is excellent in every way. First of all, there is its great fidelity in terms of colours, the rendering being balanced, flattering while remaining realistic. The infinite contrast goes hand in hand with a very beautiful brightness, impressive even and ideal for photo or video content. Finally, with a definition of 1440 by 3040 pixels, there is no eye fatigue to worry about. The headphone output, which is rare in the high-end segment, is also very well made, with a faithful, well-balanced rendering. What is even more satisfying is that both speakers produce a more than correct sound as well, so much so that they can be used to watch a series episode without fear. As Samsung's top-of-the-range standard, the Galaxy S10 obviously has plenty of power and performs all the tasks required without ever showing any sign of weakness, moving from one application to another without slowing down. The same goes for the games, which rotate with the maximum of detail without slowing down in the slightest. With three sensors, wanted and thought of as complementary, Samsung has put all the chances on its side to make this Galaxy S10 a success for the photo, and in fact this is rather true. In sufficient light, the shots are of excellent quality, with a fairly realistic treatment, a reasonable smoothing for an absolutely excellent rendering, and obtained quickly thanks to an extremely fast focusing. In worse light conditions, the images are less flattering but the details are rather well preserved and the whole remains very pleasant. The sensors that make the very wide angle and optical zoom are very good at their job in good light conditions but quickly show limits in the dark, which is relatively logical. When it comes to software additions, it is worth noting some great ideas, and a great success that is the stabilization for video, which is proving very effective. As for the selfies, their quality does not give much to complain about, and they will please the most demanding. When it comes to battery life, Samsung can't straighten out the wheel and the range of this Galaxy S10 is clearly below what you would expect from a top-of-the-range smartphone, as the smartphone can have trouble making it through the day if it's too busy. A question or a problem on the Samsung Galaxy S10? Create a discussion and our team will answer you! There is no opinion yet, be the first to add an opinion on the Samsung Galaxy S10. 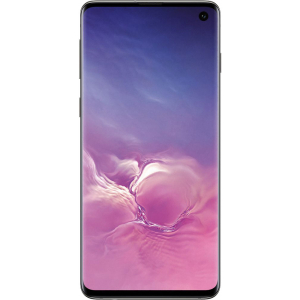 The Samsung Galaxy S10 has several versions, you will find the features of the 128GB / 8GB RAM, Dual SIM version then on the (512GB / 8GB RAM, Dual SIM) alternative version, only with features that are differents form the principal sheet. 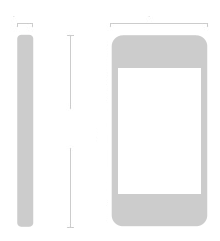 Information from the technical sheet of the Samsung Galaxy S10 are only indicative, if you notice an error, please inform us with the icon displayed on the right of each specifications.